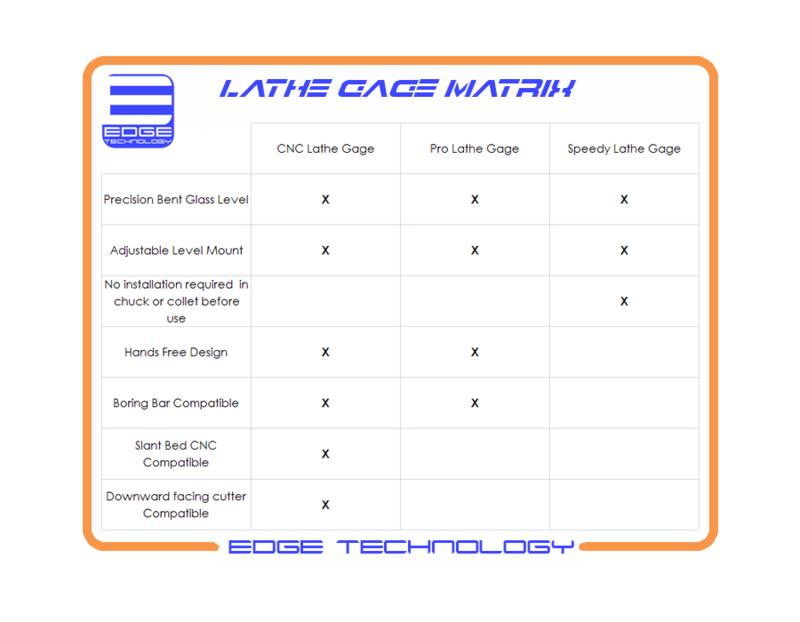 The Pro Lathe Gage by Edge Technology is used to set lathe tools on the spindle axis for optimum cutting conditions. 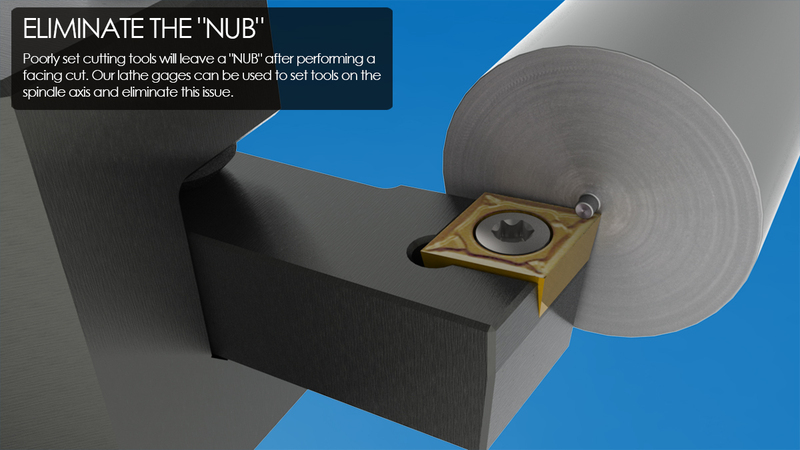 Poorly set cutting tools will leave a "NUB" at the center of the workpiece after performing a facing cut. Our Pro Lathe gage can be used to set tools on the spindle axis and eliminate this issue. 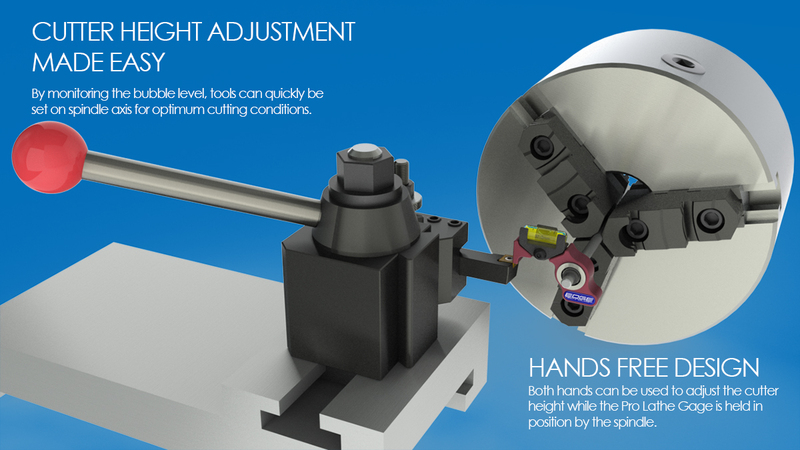 The hands free design allows you to use both hands to adjust the height of the tool holder. 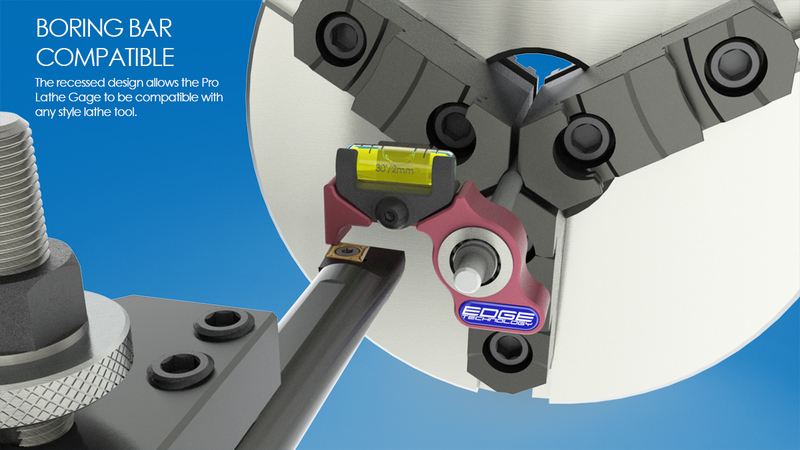 The recess in the body profile provides enough clearance to set boring bars. 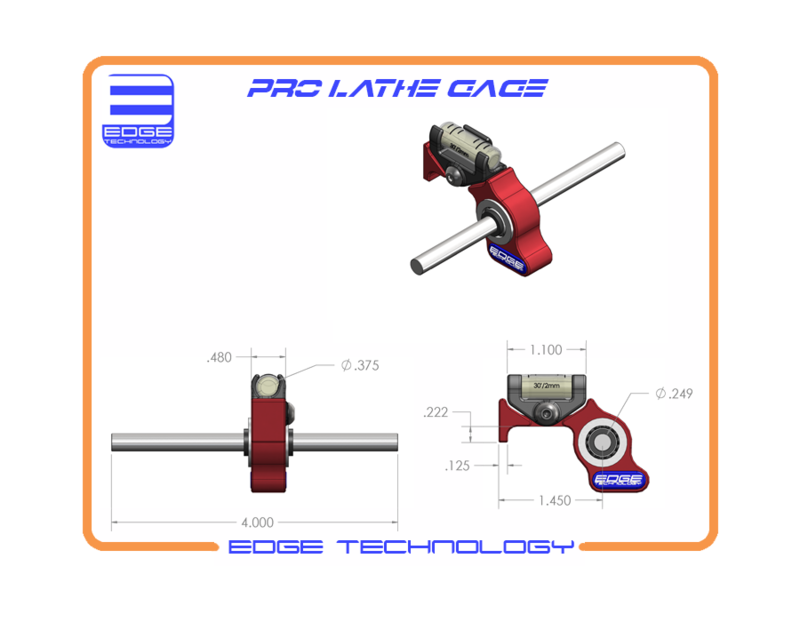 The Pro Lathe Gage features an adjustable level housing allowing you to correctly set tools even if your lathe is not perfectly leveled. 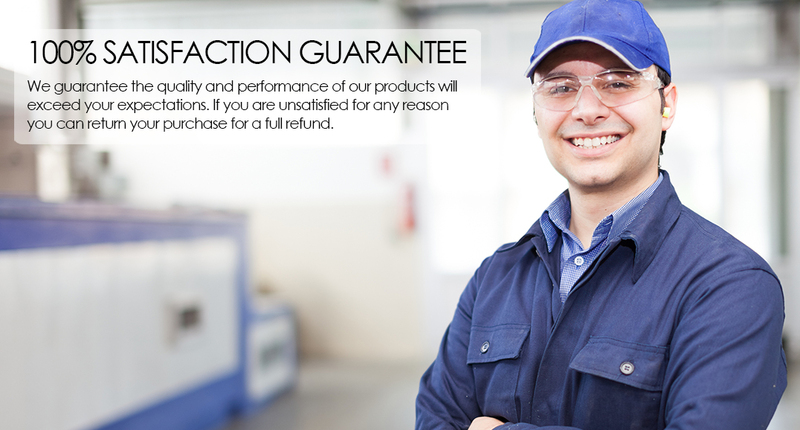 •	Set turning, and facing tools on spindle axis for optimum cutting conditions. •	Recessed body profile is compatible with boring bars. •	Precision glass vial level with 30'/2mm sensitivity. •	Ground steel shaft mounted on dual precision ball bearing.